River rafting in Ladakh evokes thrill like no other. Settled in the lap of Himalayas, the difficult terrain has two swift rivers- Indus River and Zanskar River with exciting rapids, perfect for river rafting. 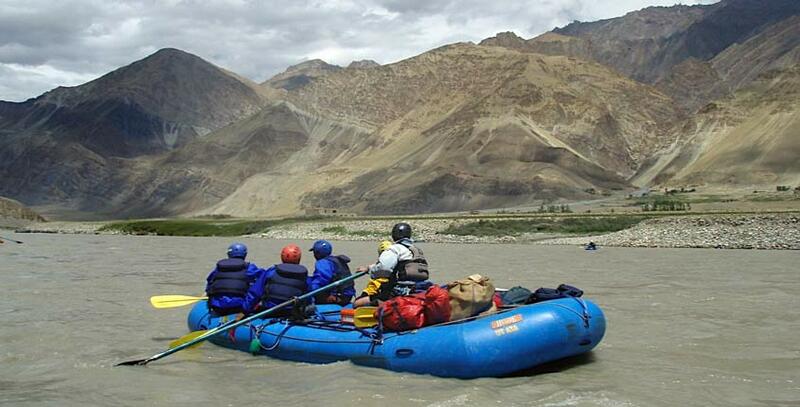 The wonderful landscape of Ladakh adds to the delight of rafting. The towering mountains, colorful monasteries, ancient canyons formed by the river, chilly winds, the freezing waters and unrivalled thrill, all make rafting in Ladakh an experience that you do not forget easily. Learn more about your adventure expedition. Locally known as the Singhe Khababs (out of Lion’s mouth), Indus River flows from north-west to south-east Ladakh. Originating in Tibet, near the Kailash Mountain and the Mansarovar Lake, the river gets frozen in winter and flows in high speed during the month June to late August which is also the best time for adventure sport of rafting. Expeditions for river rafting on Indus last for one to five days. Rapids on the river found are generally of I and II grades and at some places and grade III to even V rapids. Rafting on this stretch of Indus River starts from Phey Village, about 12 km from Leh and ends at Indus-Zanskar confluence at Nimo, about 36 km from Leh, this route consists mostly of Grade II and III rapids. Adding to the thrill is the scenery of beautiful mountains, tiny hamlets and imposing old monasteries nestled among the valleys. In comparison to Phey-Nimo route, Upshi to Kharu route for river rafting in Indus is not too difficult. The river has Grade I and II rapids, with handful of grade III rapids too. Rafting starts at Upshi, about 90 km south-east of Leh, along the road which leads south to Manali, ending in Kharu. This rafting adventure trip starts from Phey, about 8 km south of Leh and ends at Saspol, on Leh-Srinagar Highway, near Alchi. 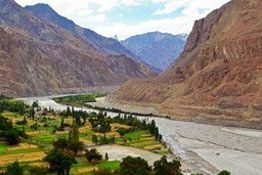 In addition to the thrill of the speedy waters, this route is blessed with the breathtaking view of landscapes and beauty of tiny hamlets on both sides of Indus River. 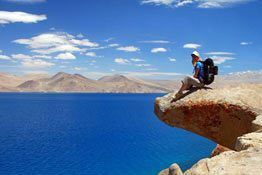 Favored by the beginners and amateurs, this rafting route in Ladakh starts from Kharu, 45 km South-East from Leh and ends at Spituk, just short of Leh. The rapids are quite basic and the views are more than a beauty to cherish. For the true adventure aficionados looking for exhilarating river rafting in Ladakh, the Saspol to Khaltsey route offers the ultimate challenge. The highlight of this route is the kilometer-long series of rapids at Nurla. The rafting will finish at Khaltsey 90 km from Leh. 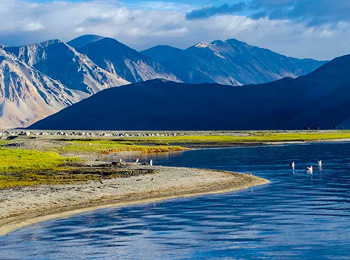 Zanskar River is a north-flowing tributary of Indus River, perfect for thrilling river rafting in Ladakh. Frozen in the winters, Zanskar is famous for the frozen Chadar trek, but in the summers and the monsoon, the river has a swift flow. 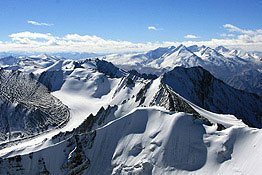 The adventure –laden route is mostly upto the confluence of Zanskar and Indus. There are stretches on the river blessed with grade II to V rapids that includes Alchi, Nimmo, Upper Nimmo, Big Water 'Chilling', Zangla and Major Surprise (created by a recent land slide). The easiest stretch on the Zanskar River for rafting, the route from Tsogsti to Sangam takes almost 1 hour with rapids of grade 1+. Enjoying the speedy flow of the river along with spectacular scenery creates cherished memories. The rapids on the Choklamsar to Phay route are mostly grade 1-2 and can be easily covered in 1.5 hours. Passing through the ancient Zanskar gorge, the landscape is particularly impressive. 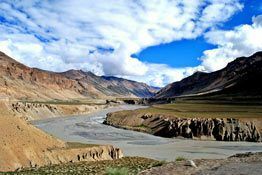 This particular river stretch from Schorpochay to Sangam are dotted with grade 2+ rapids which offers a memorable rafting adventure on Zanskar River, that can be covered in 2.5 hours. Phay to Sangam stretch on the Zanskar River is dotted with rapids of grade 2+ which can be easily covered in 2.5 hours. Posing a challenge to rafters, the river stretch to Sangam and Alchi has a number of thrilling rapids some of grade level 3+. Taking around 2.5 hours the adventure is also blessed with breathtaking scenery of the mountains. One of the best experiences of thrilling white water rafting in Ladakh, the 30 km stretch on the Zanskar River from Chilling to Sangam is blessed with a number of Grades to 2-4. 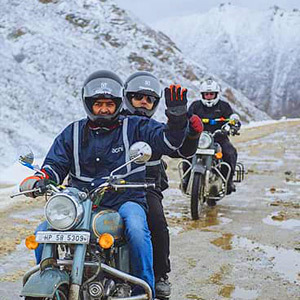 The impressive landscape along with the adrenalin pumping activity makes for some of the best adventure sport in Ladakh.